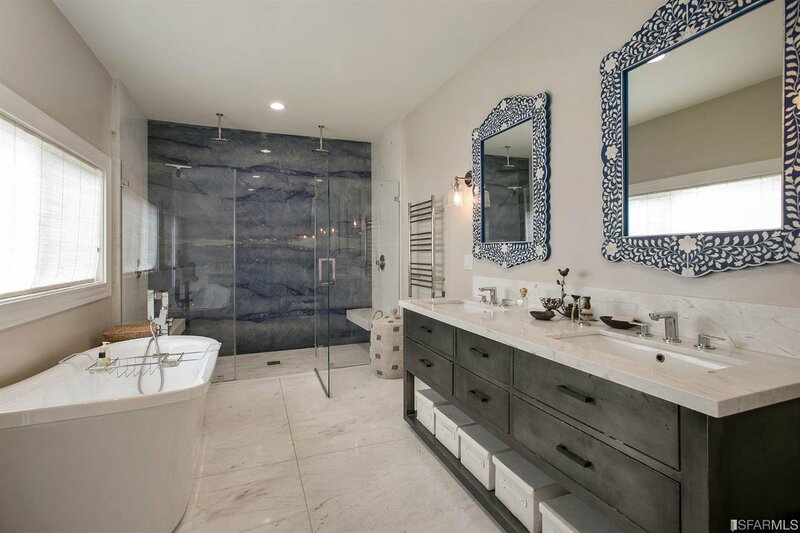 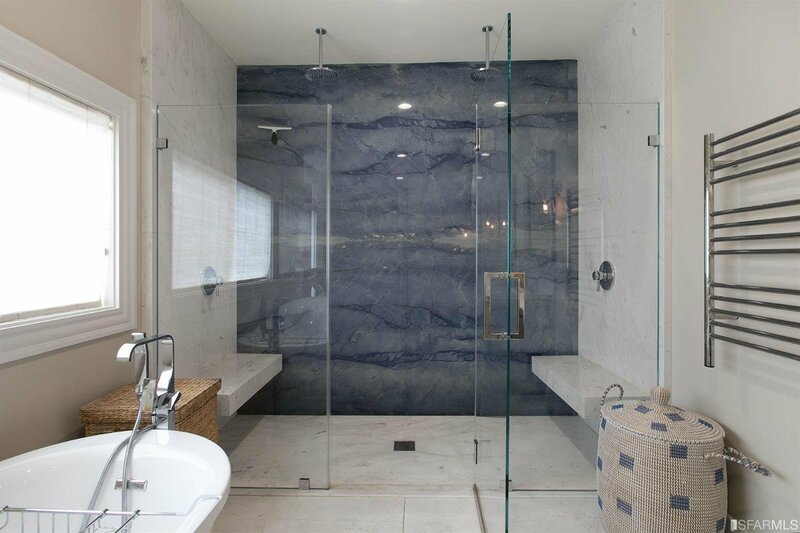 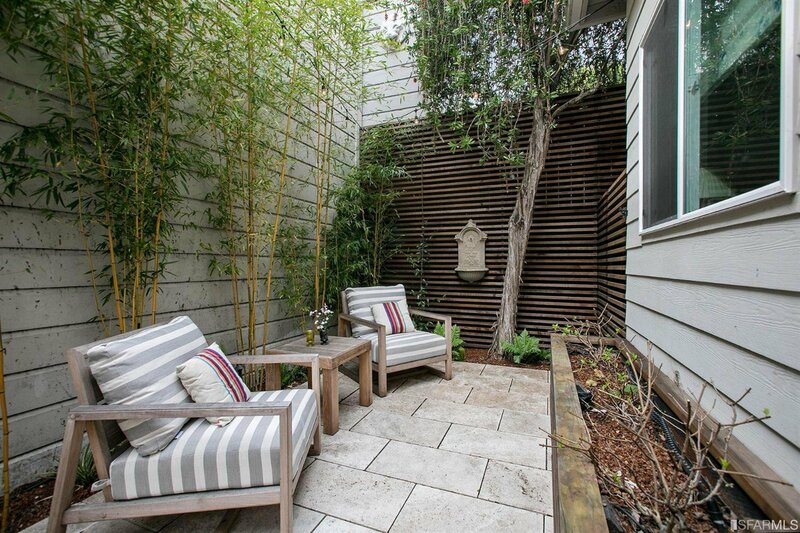 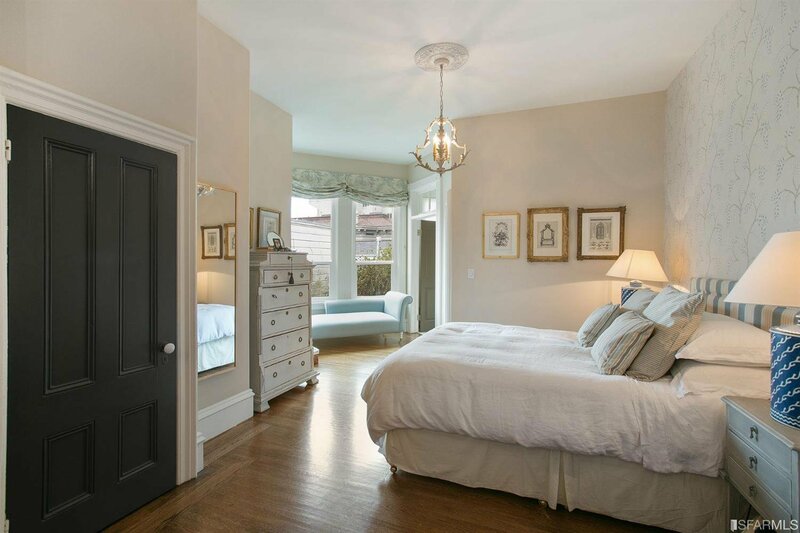 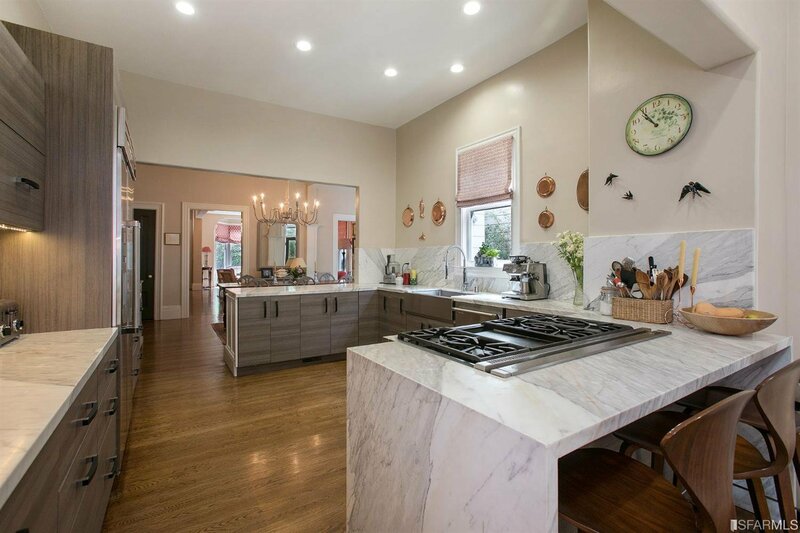 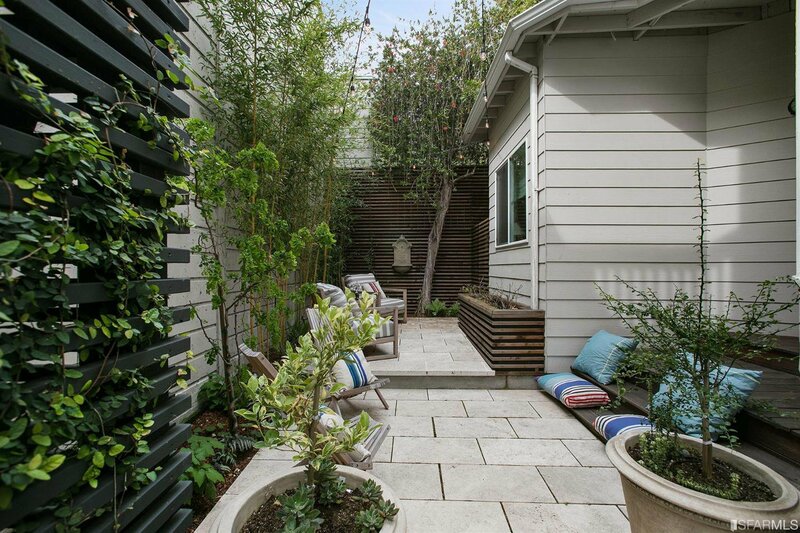 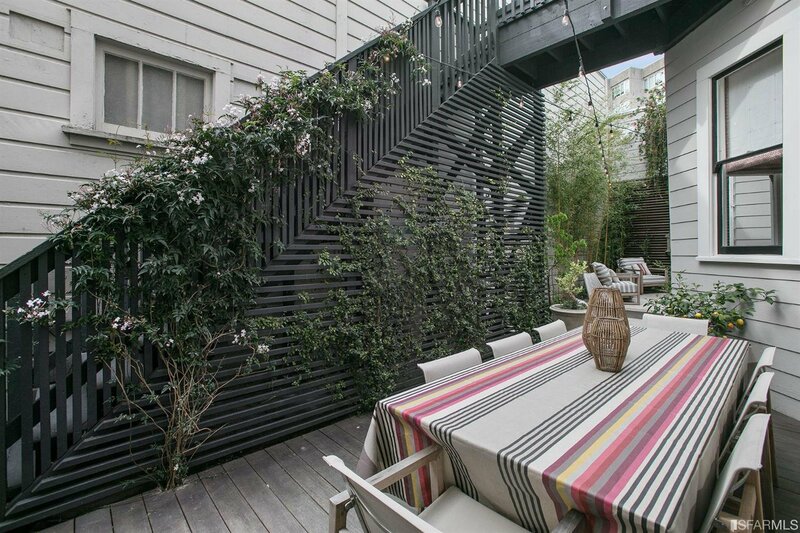 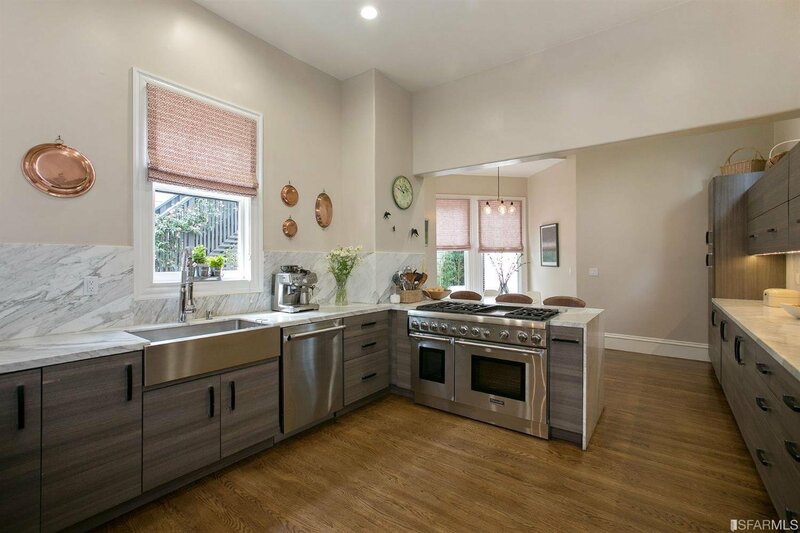 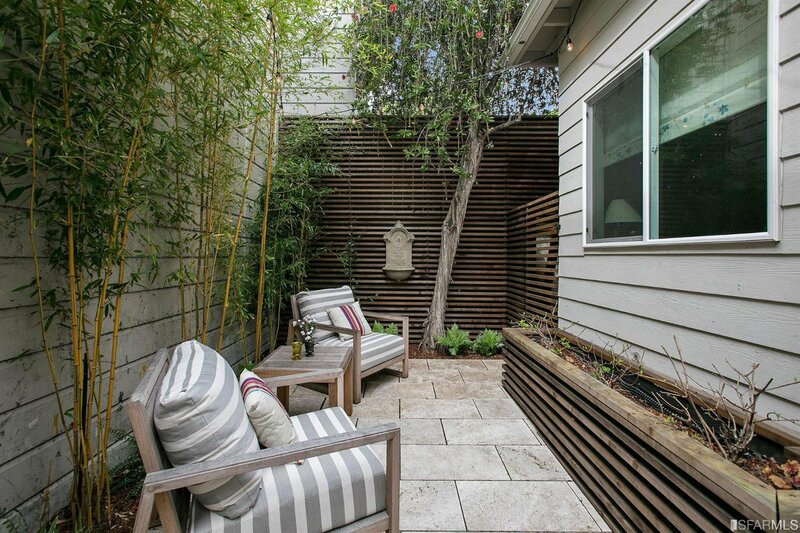 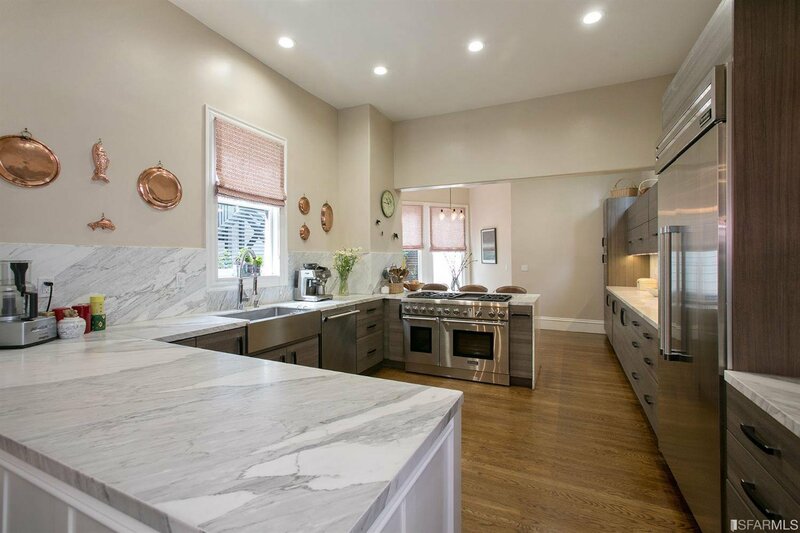 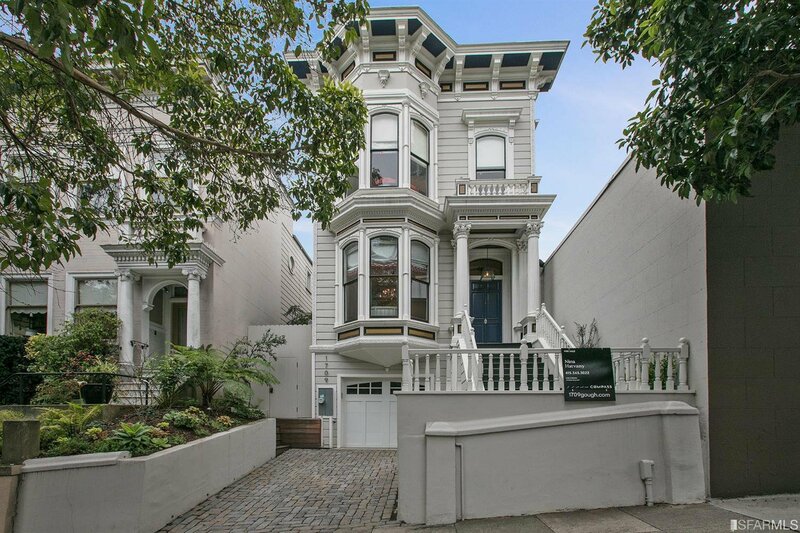 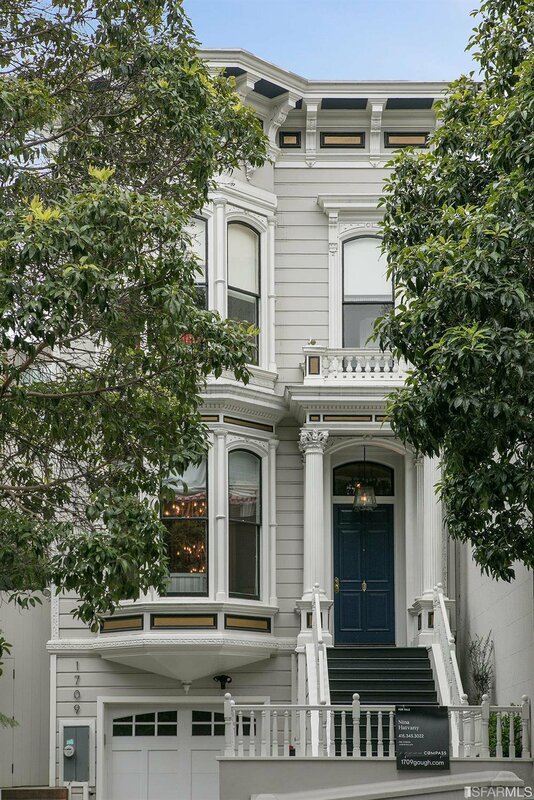 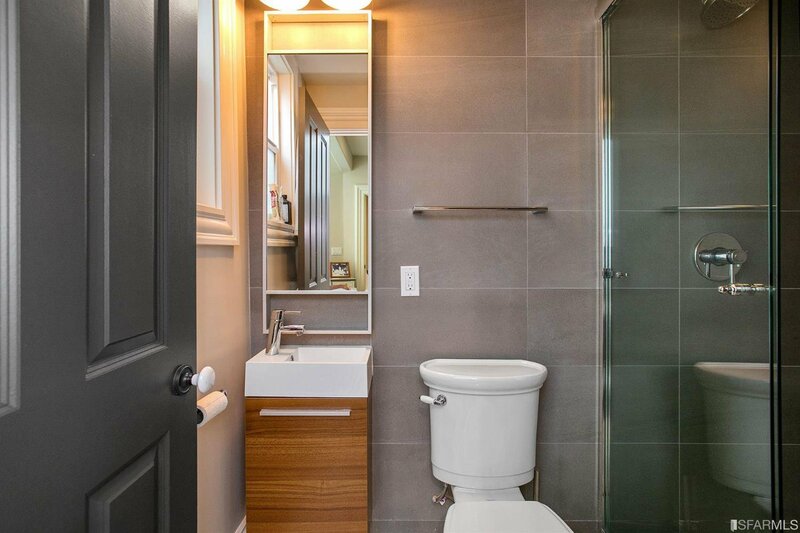 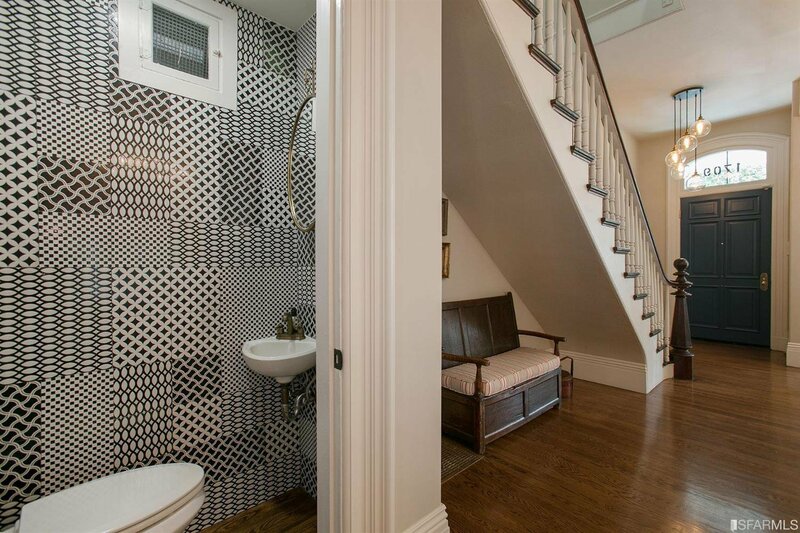 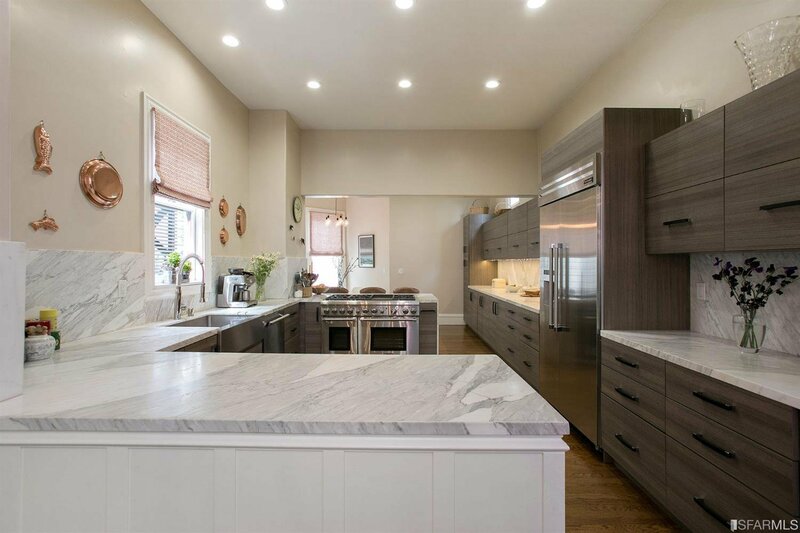 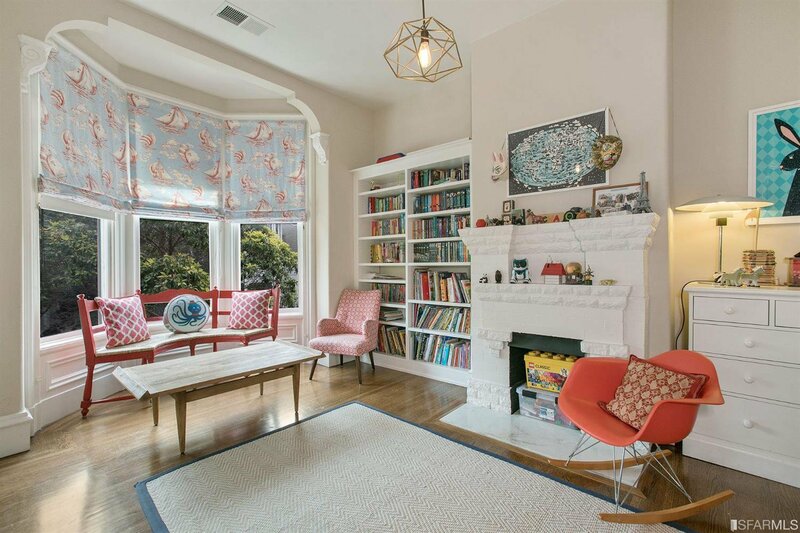 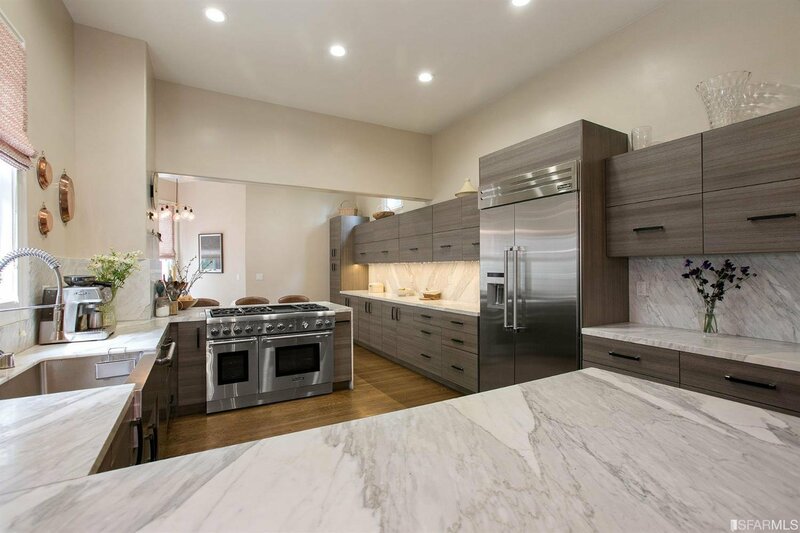 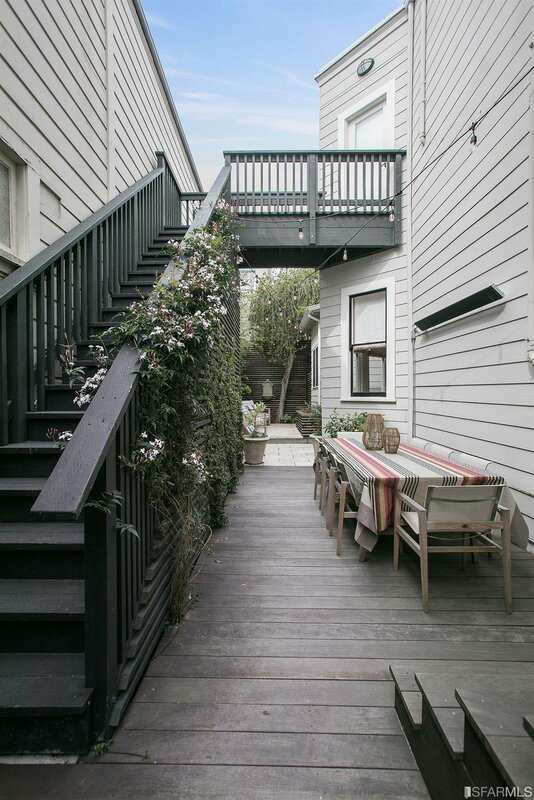 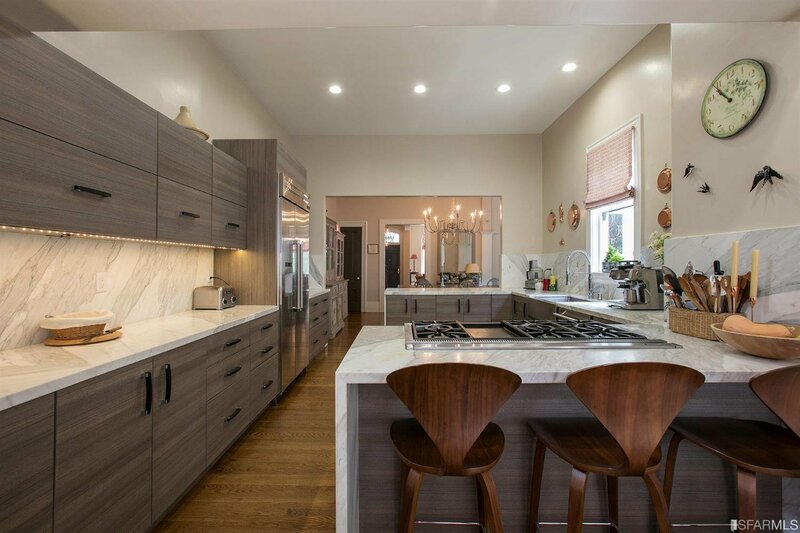 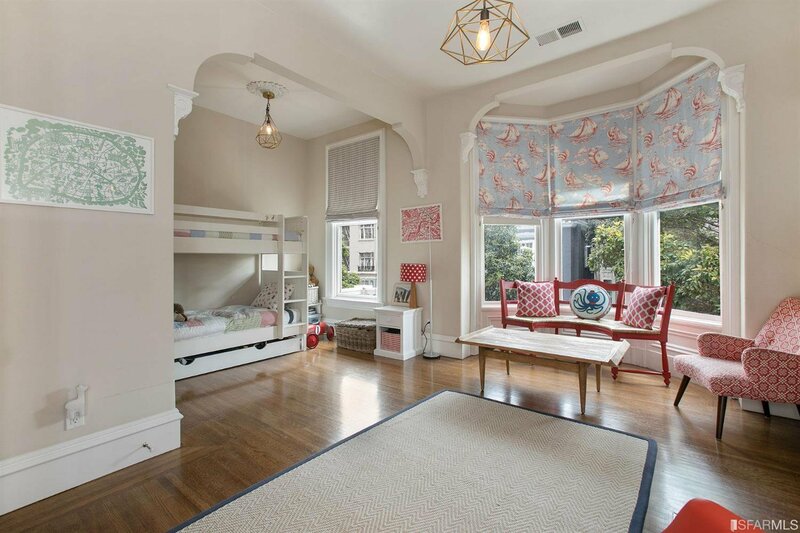 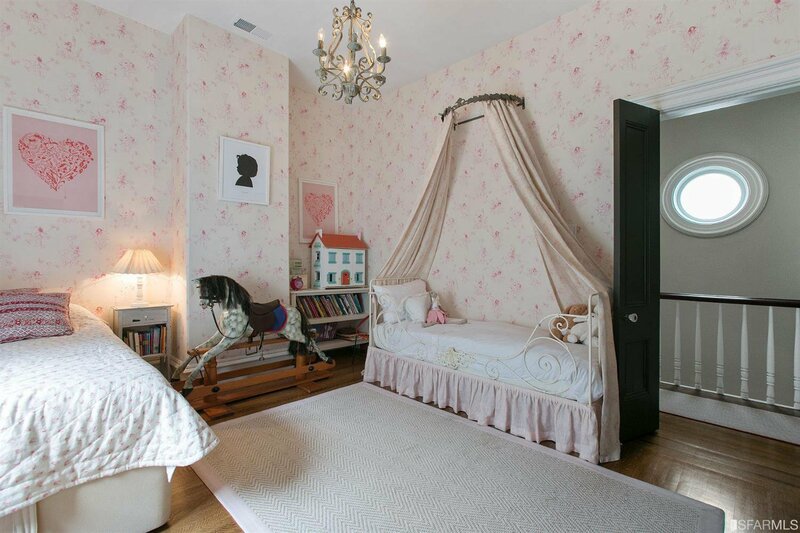 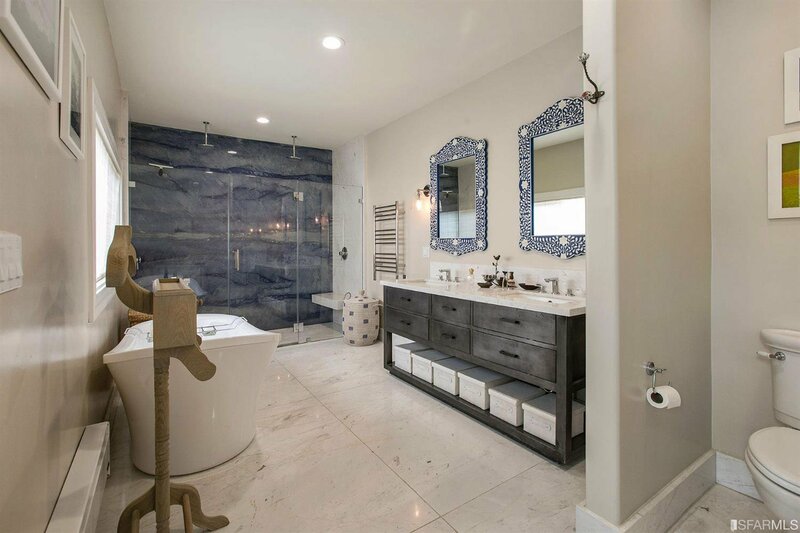 Grand Victorian in Lower Pacific Heights, meticulously renovated with designer finishes and fixtures. 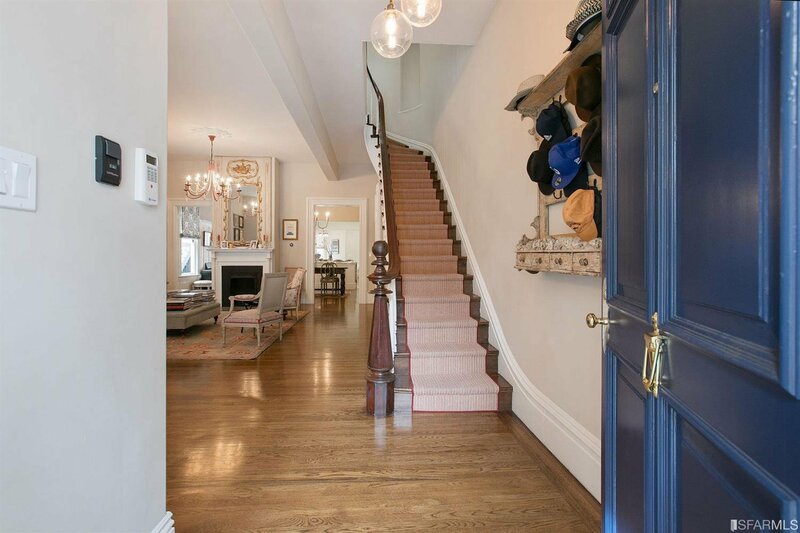 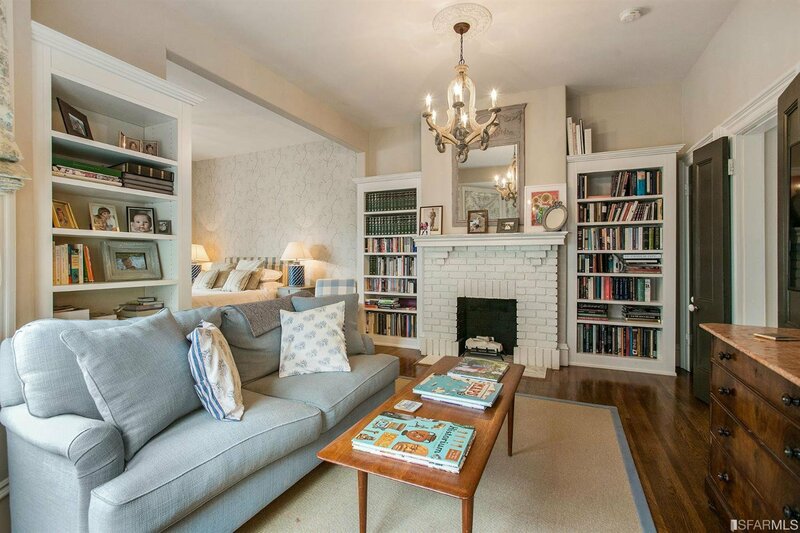 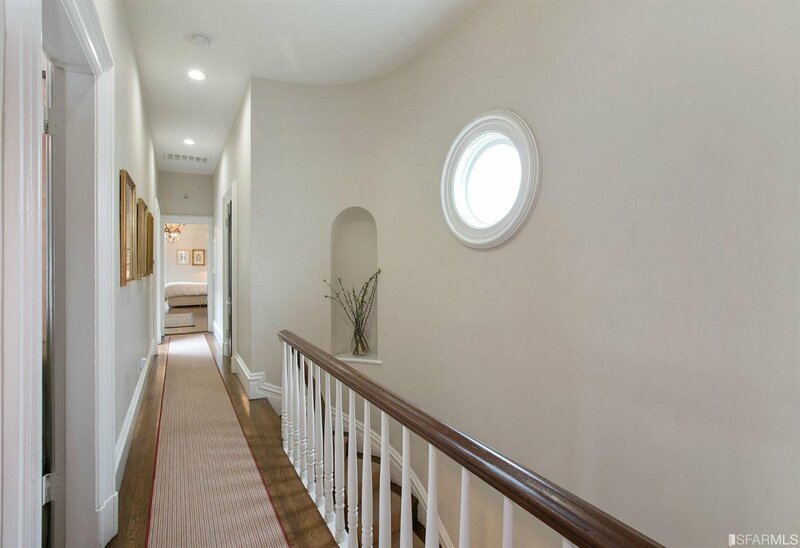 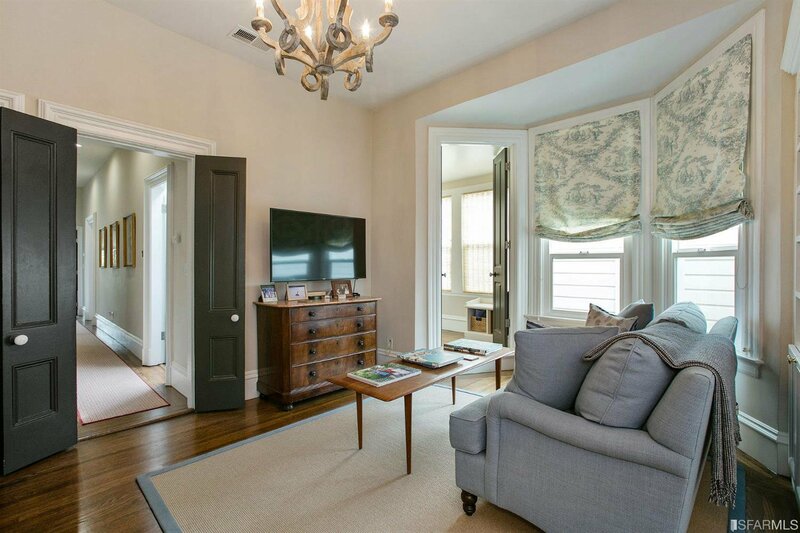 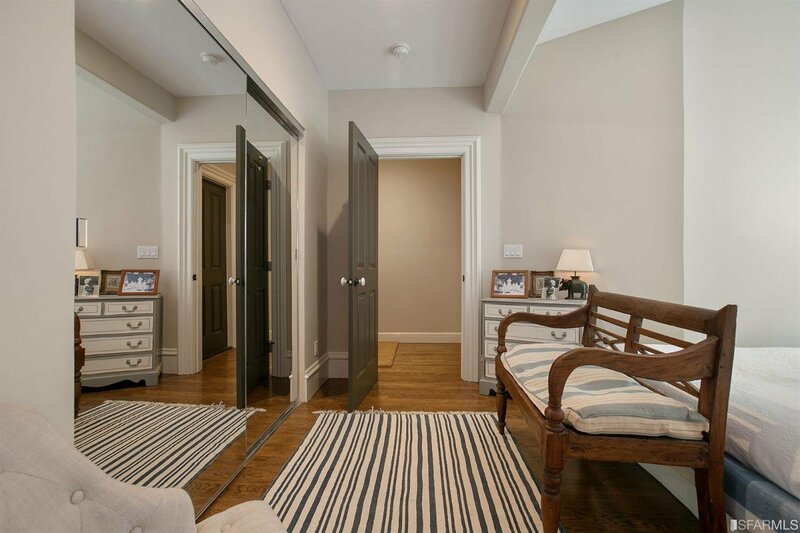 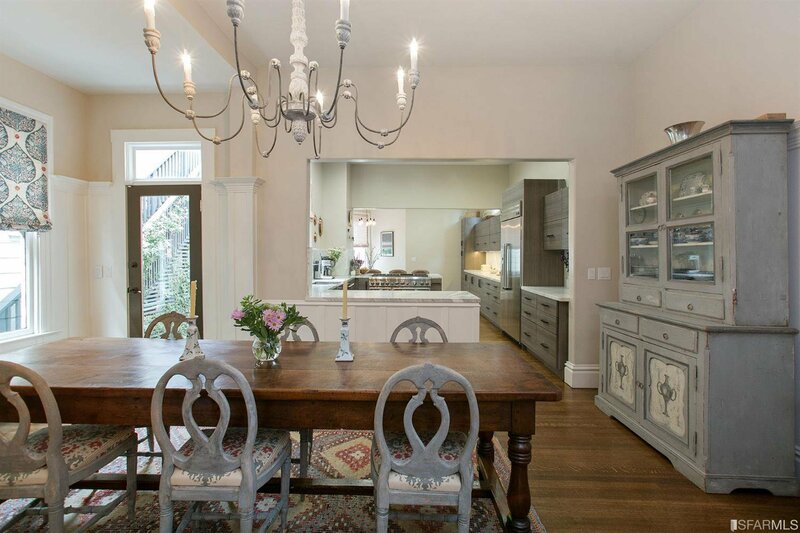 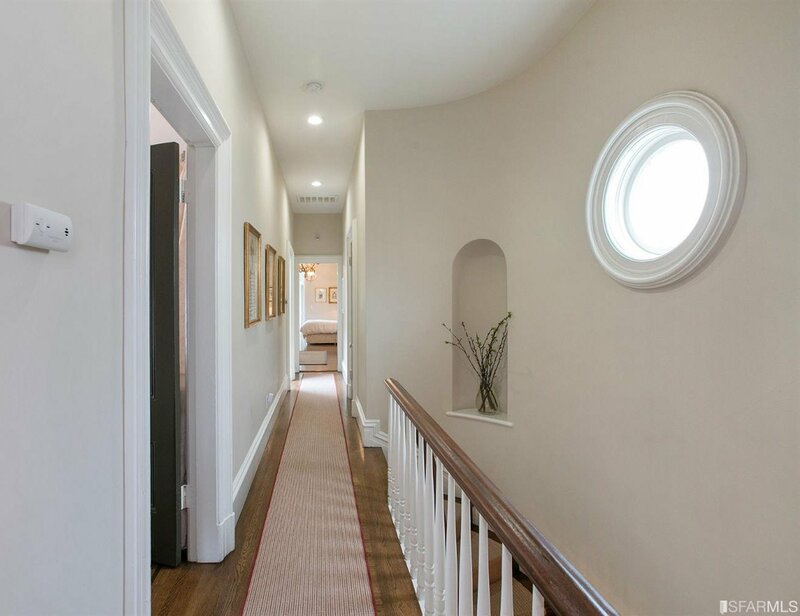 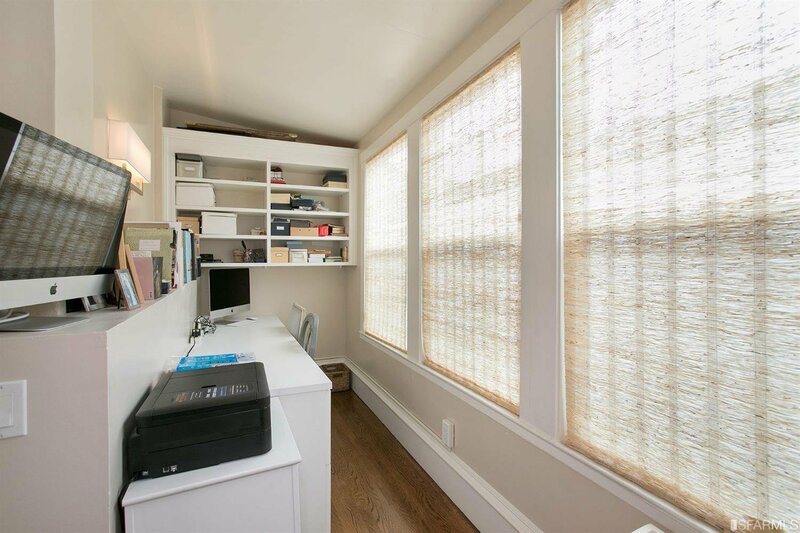 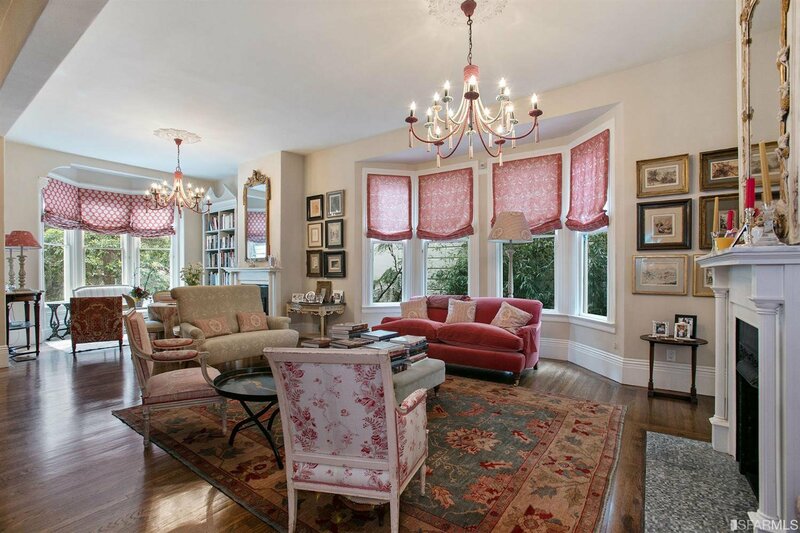 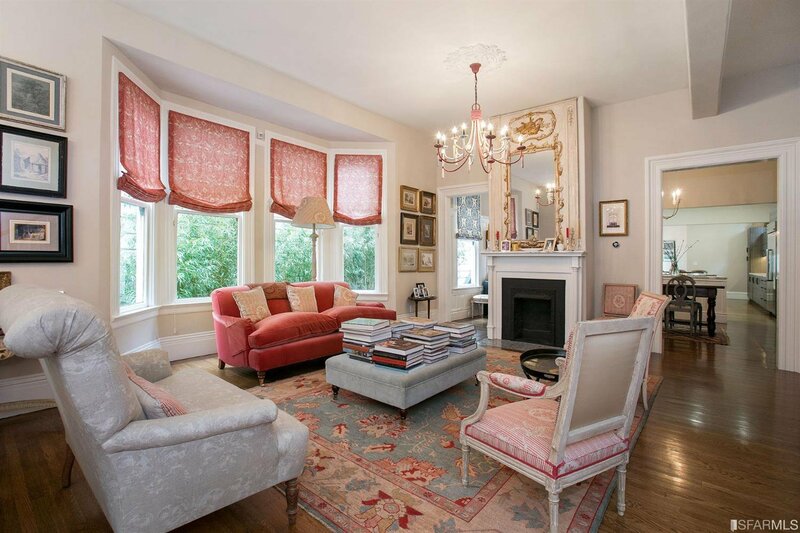 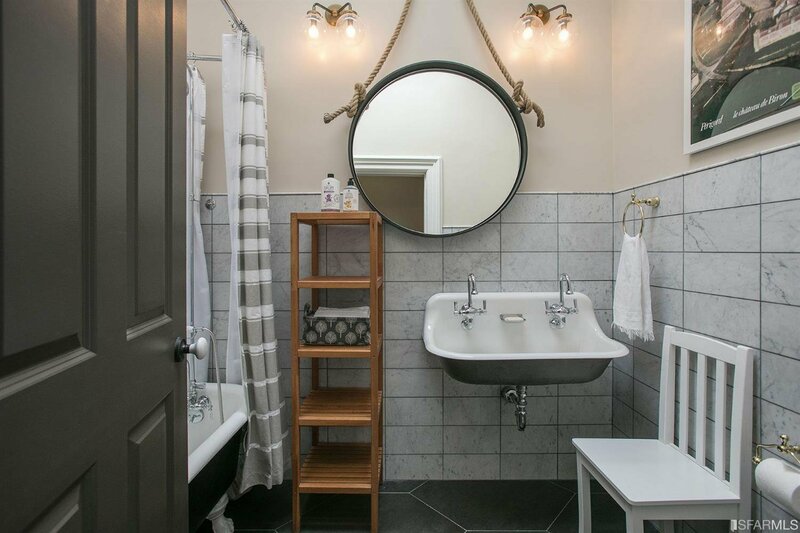 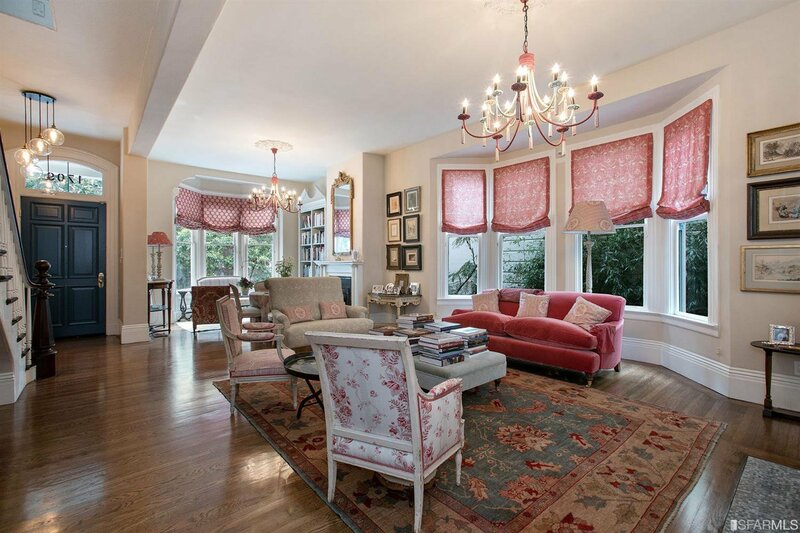 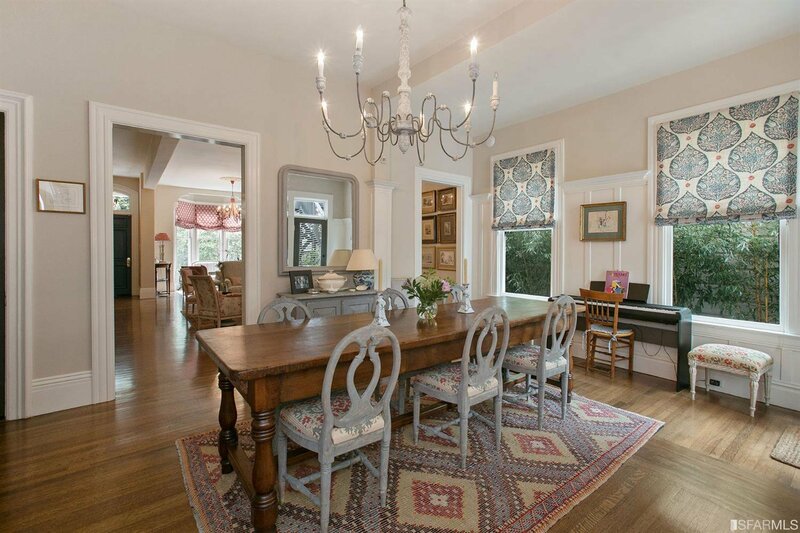 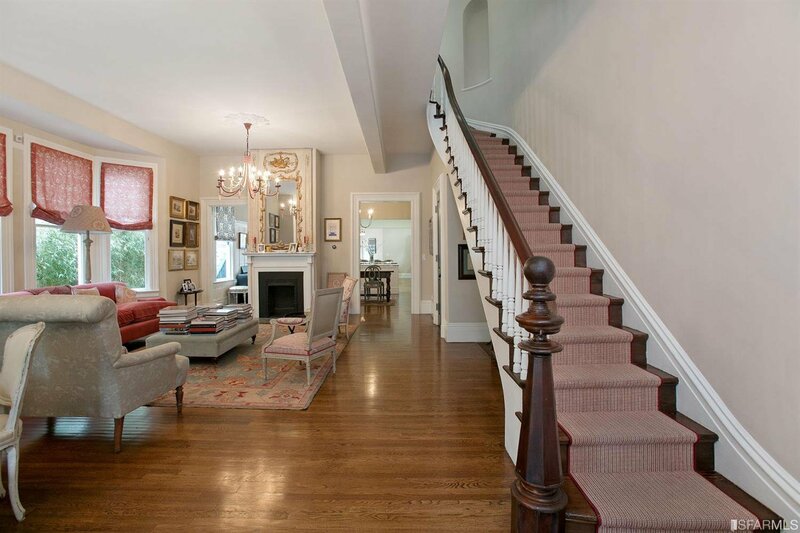 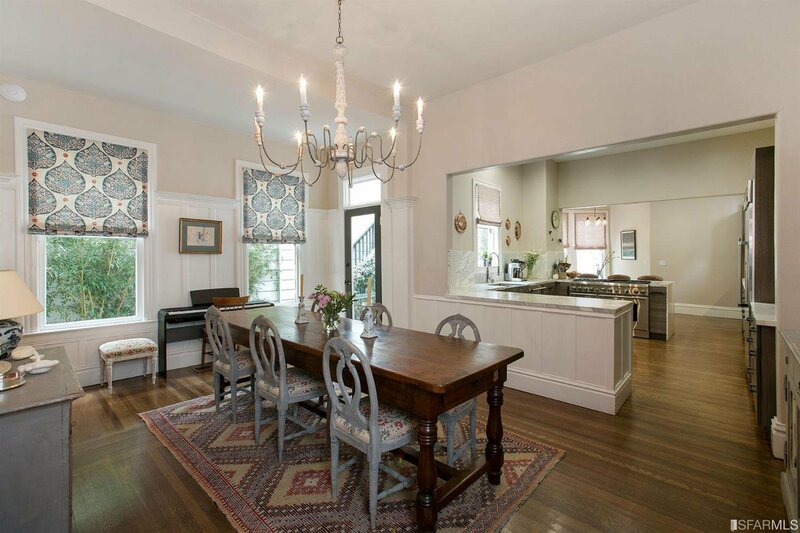 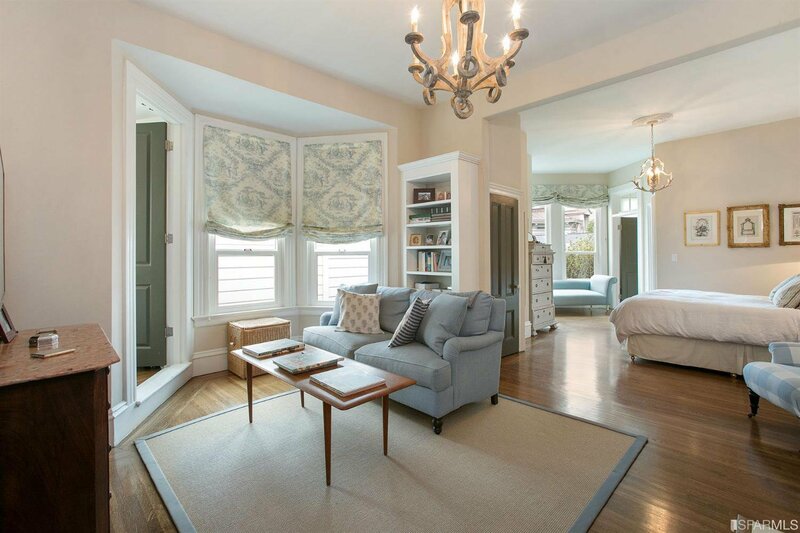 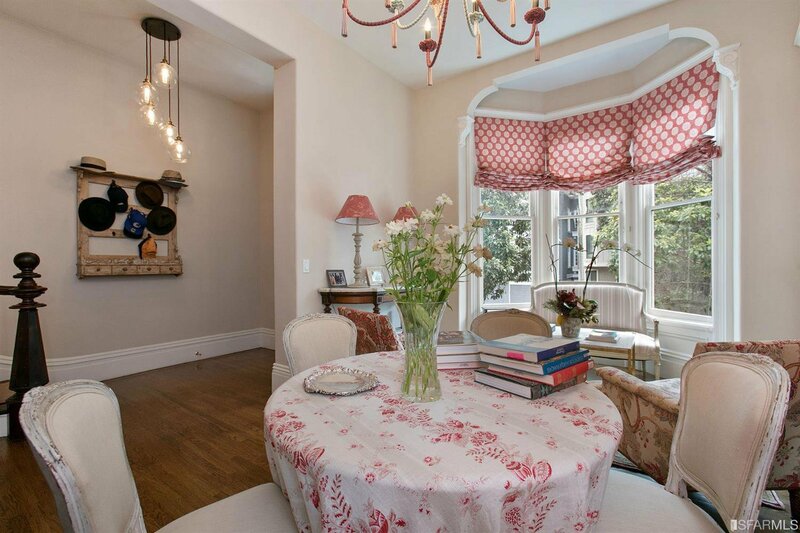 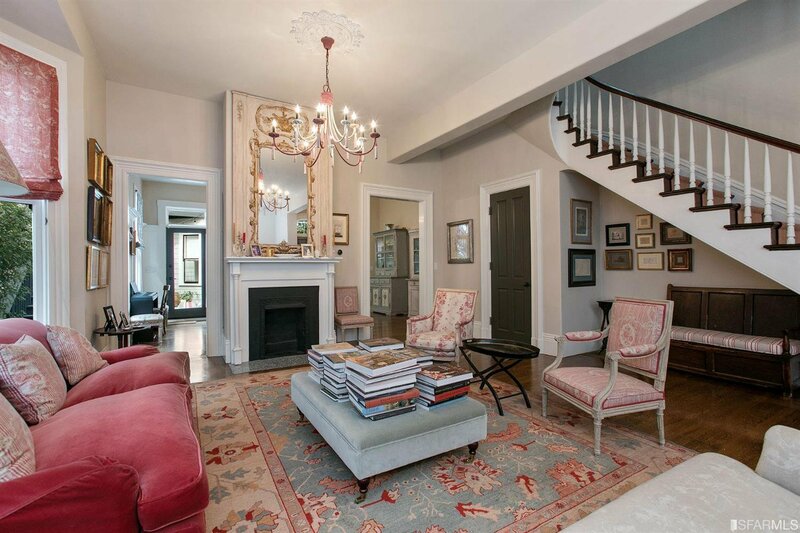 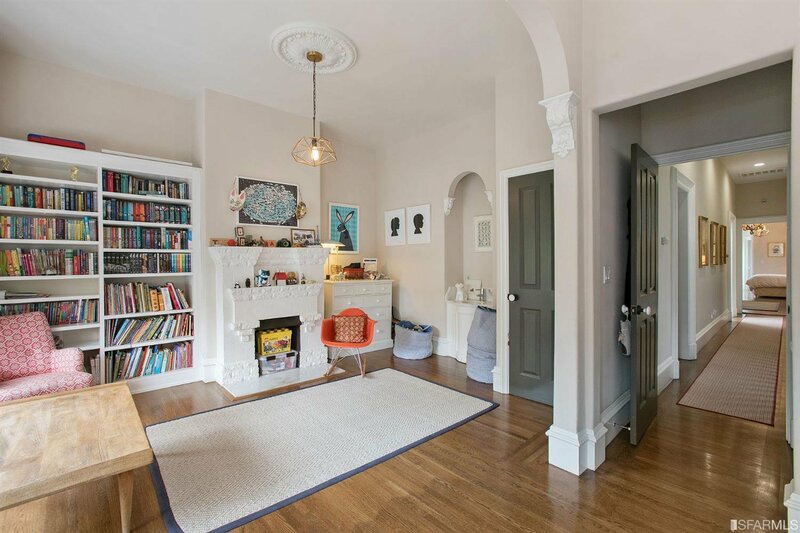 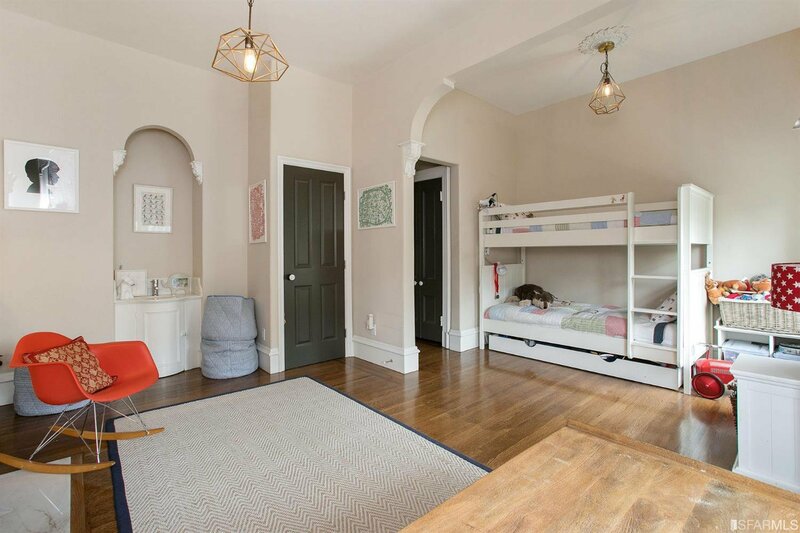 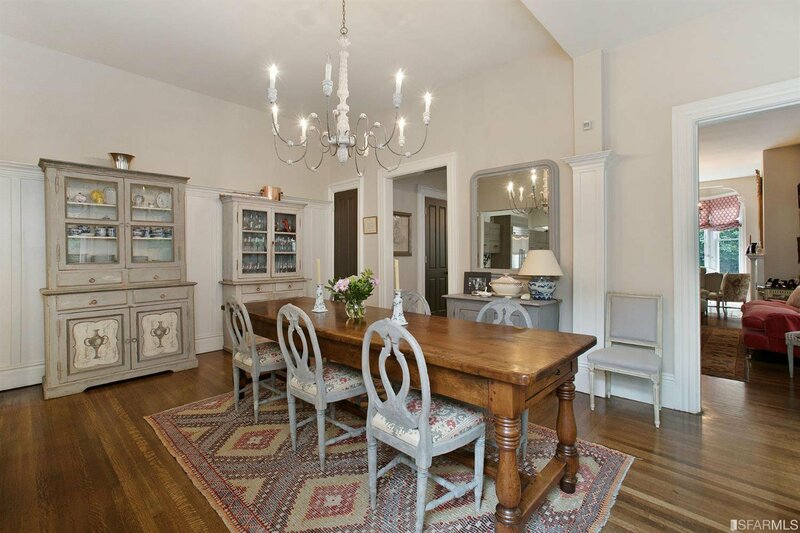 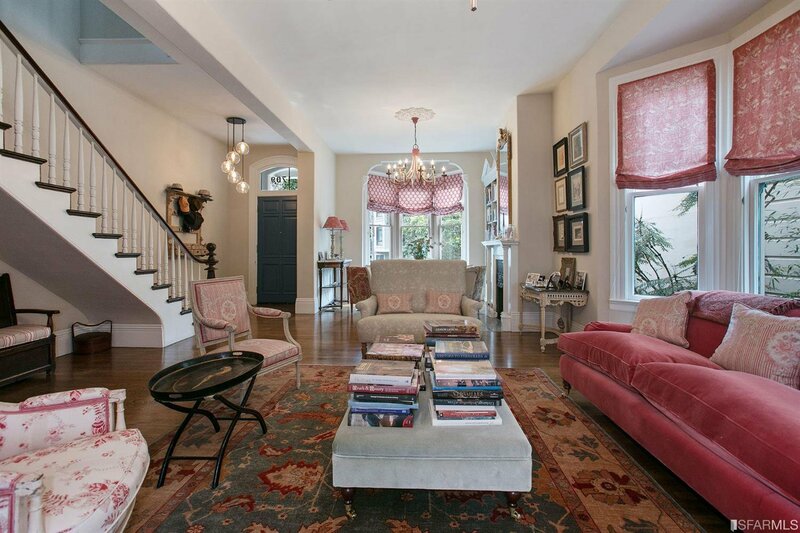 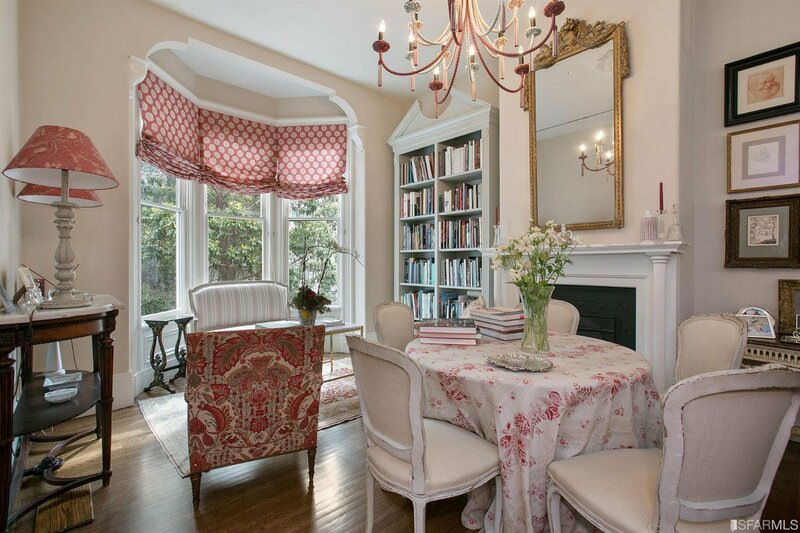 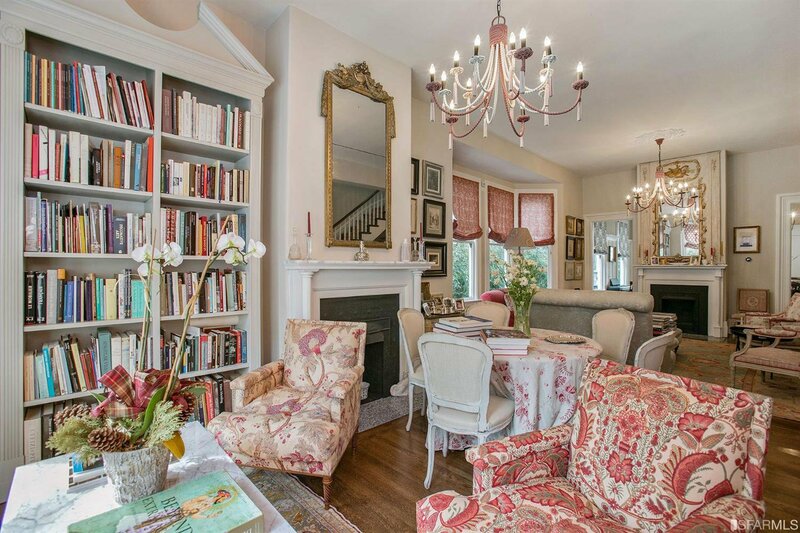 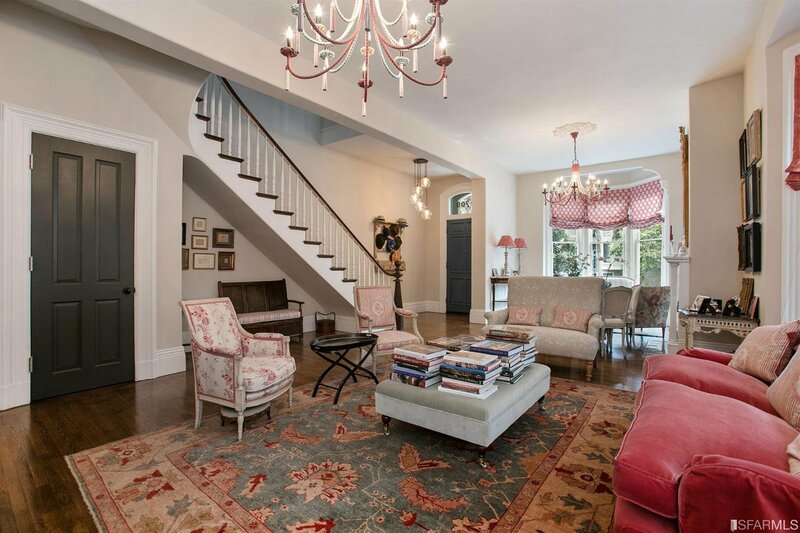 Gorgeous period details throughout, with hardwood floors and 11'+ ceilings. 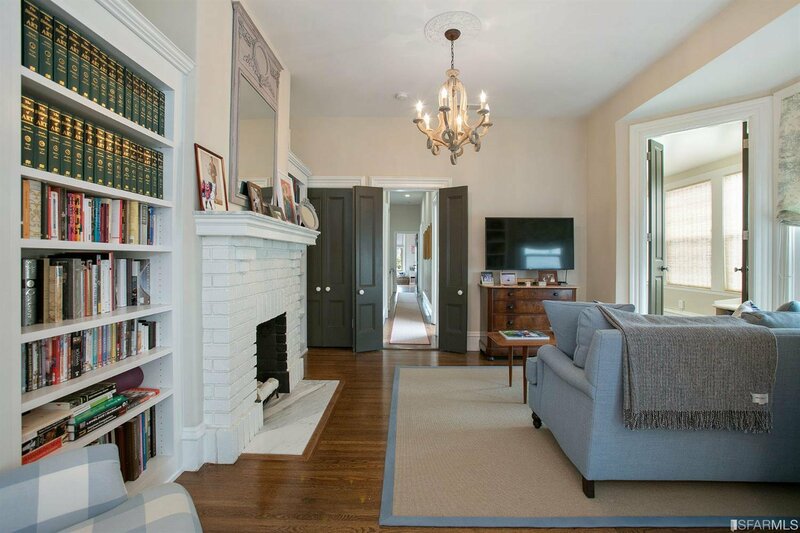 The main floor offers a double living room, formal dining room, open kitchen, breakfast area, powder room, and landscaped side yard. 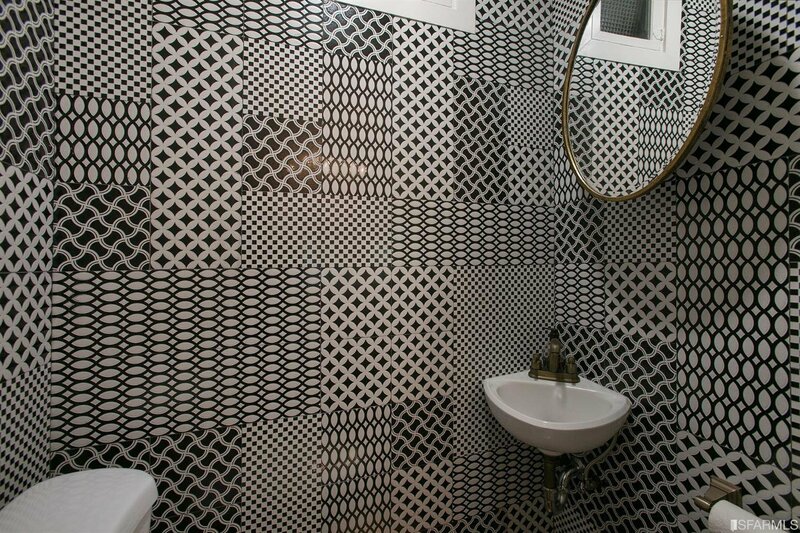 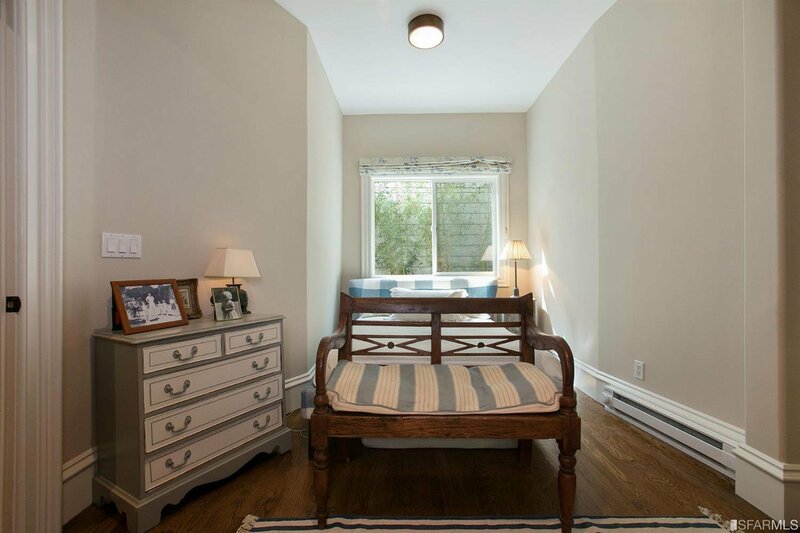 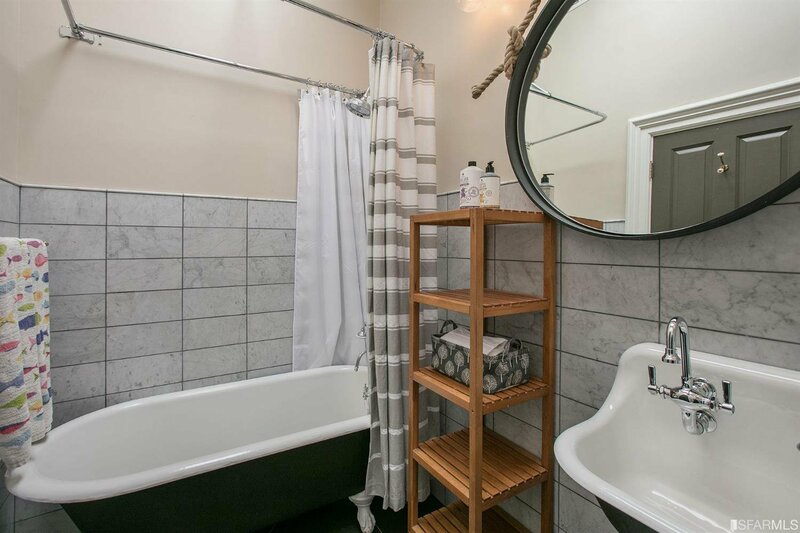 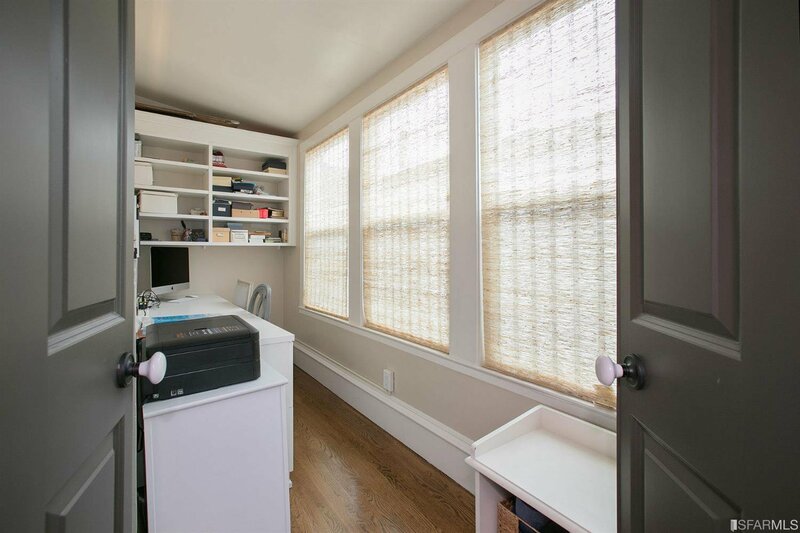 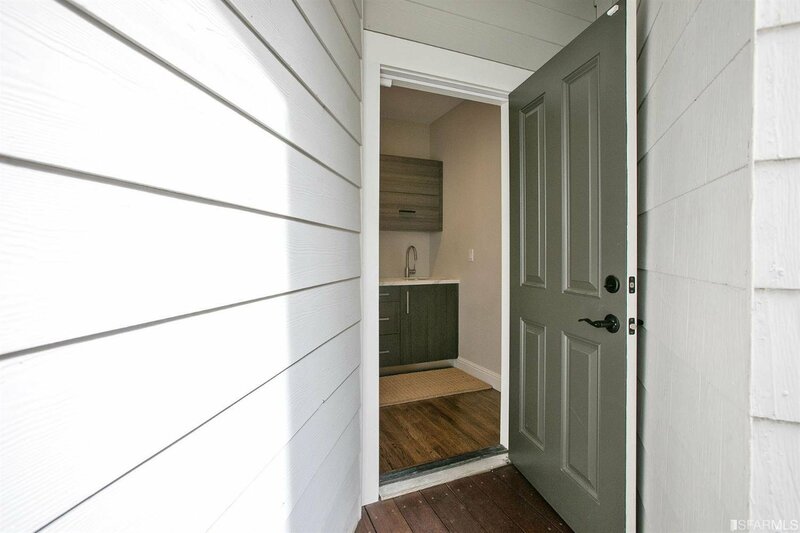 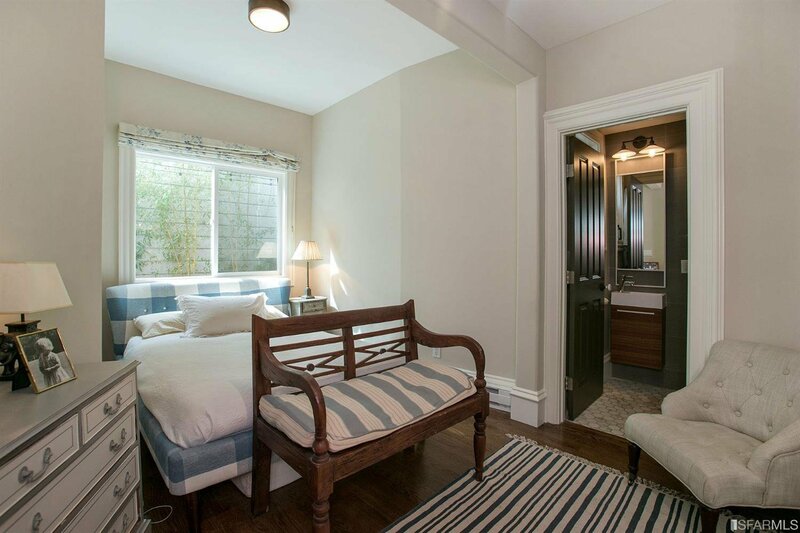 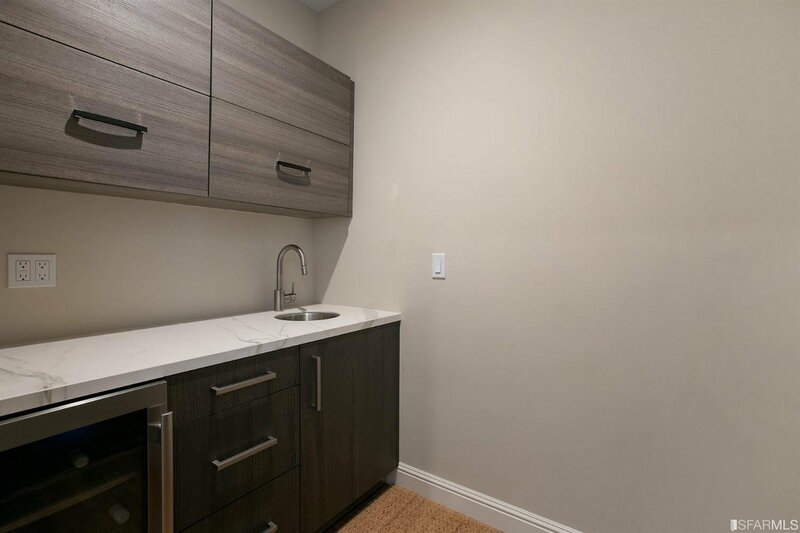 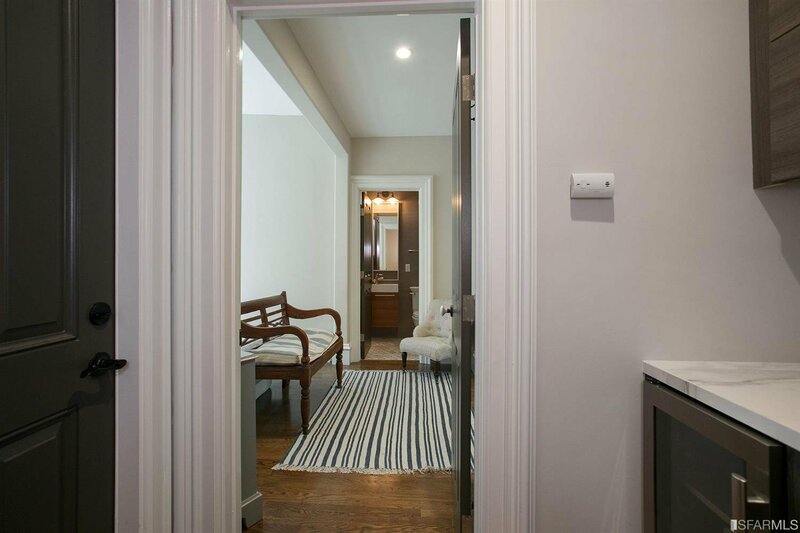 There is a separate entrance to a 1 bed, 1 bath w/wet bar - perfect for au pair or guests. 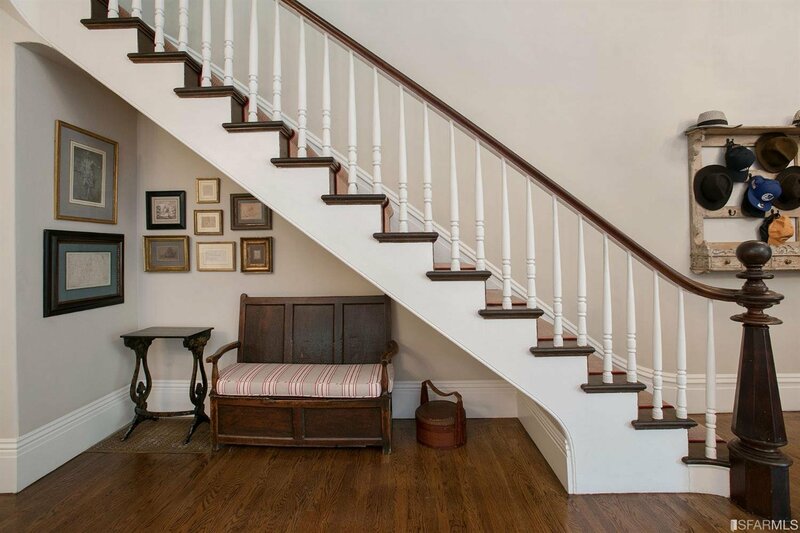 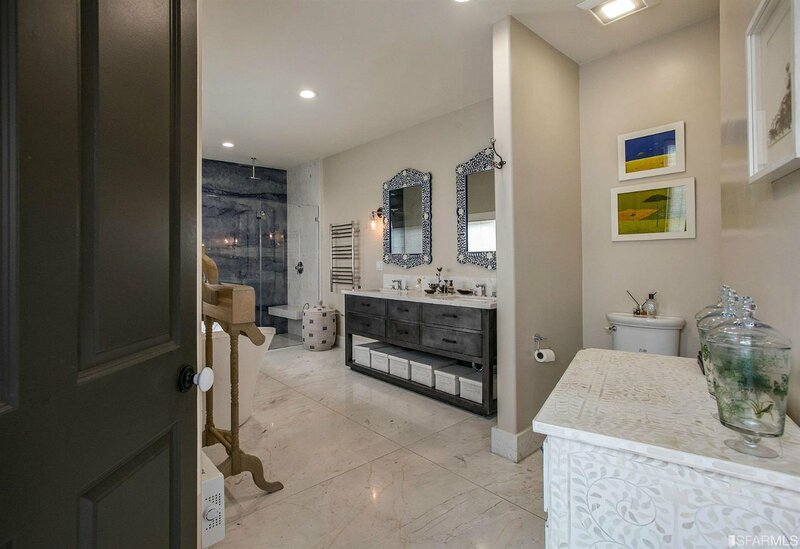 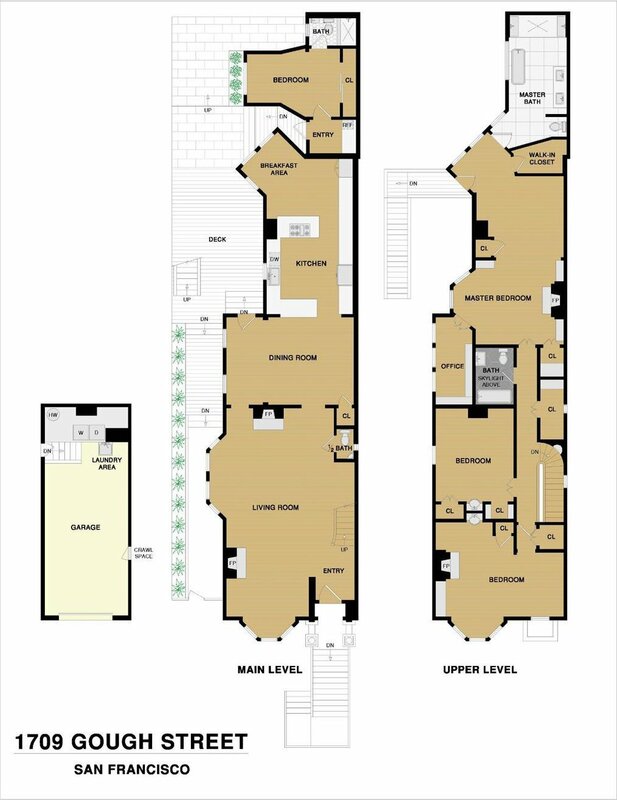 Up the main stairs are 3 generous bedrooms and 2 baths, including a huge master suite w/seating area, separate office, walk-in closet, & stunning master bathroom. 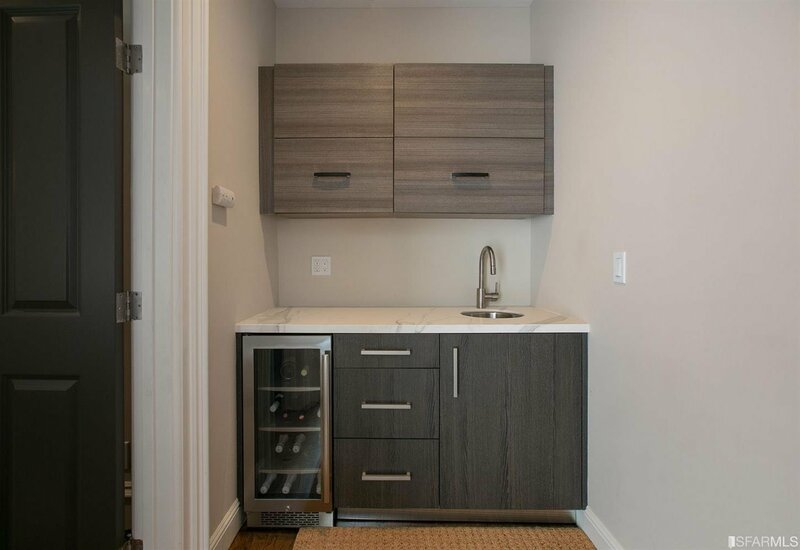 Laundry & storage in the garage plus parking pad. 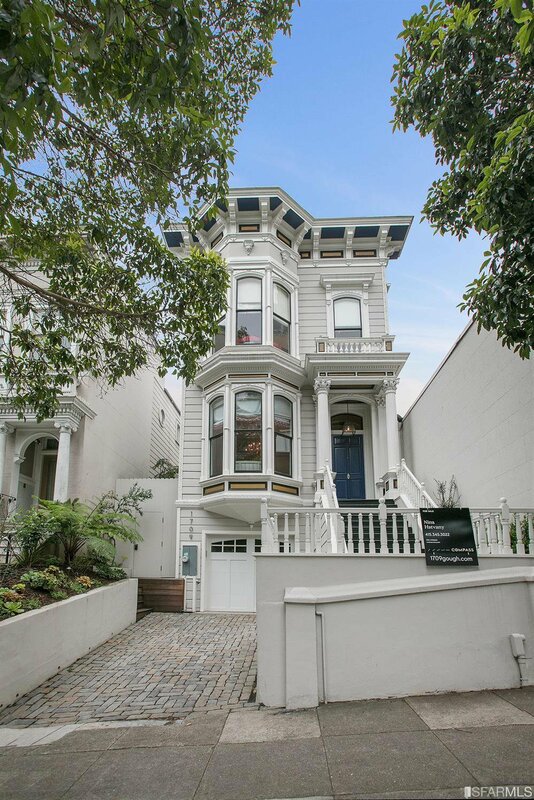 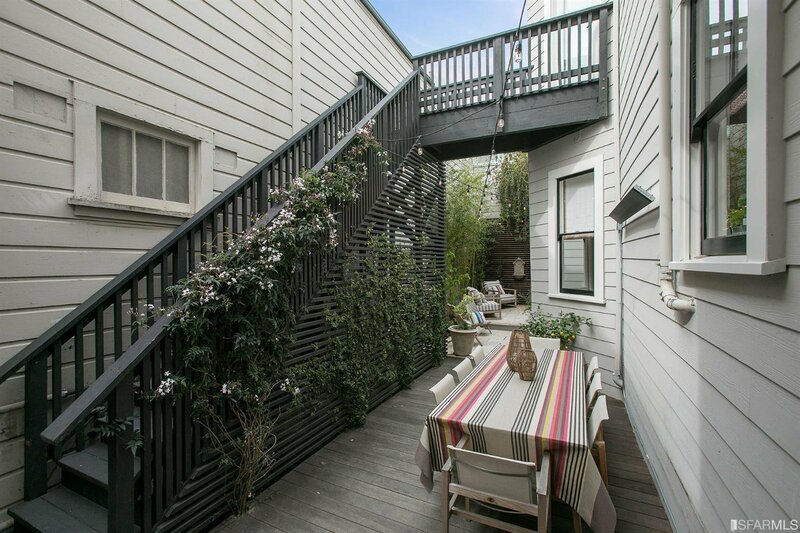 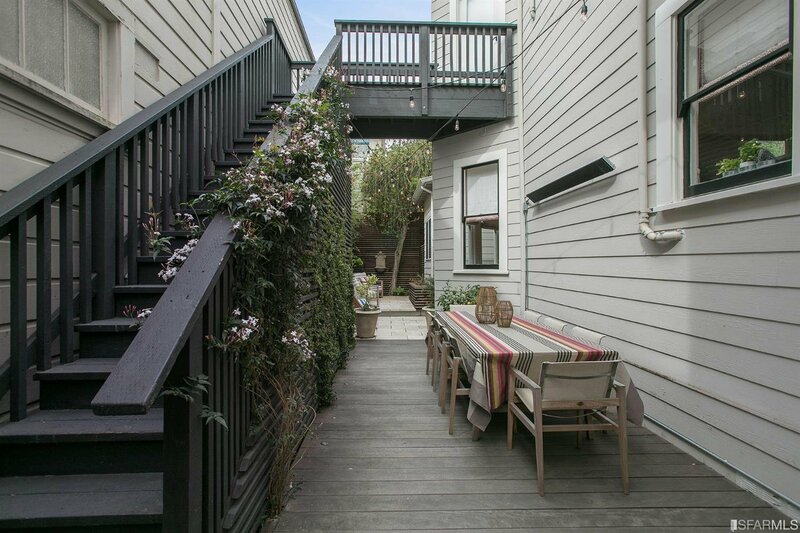 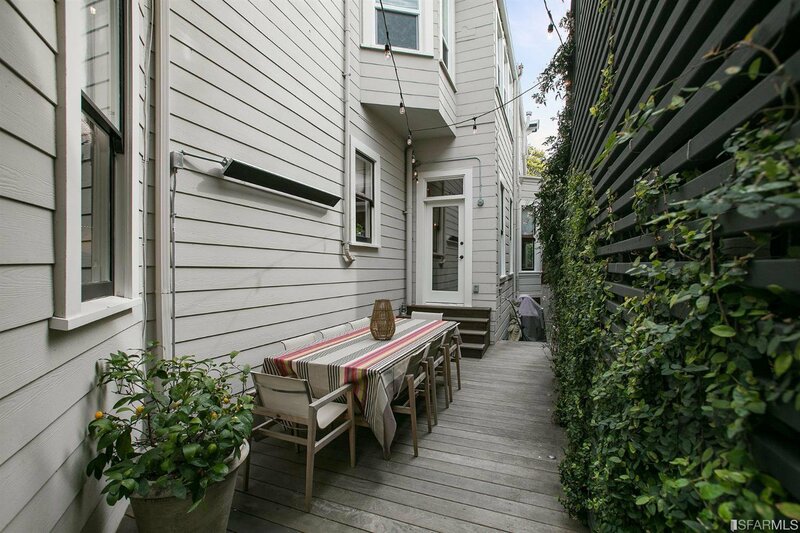 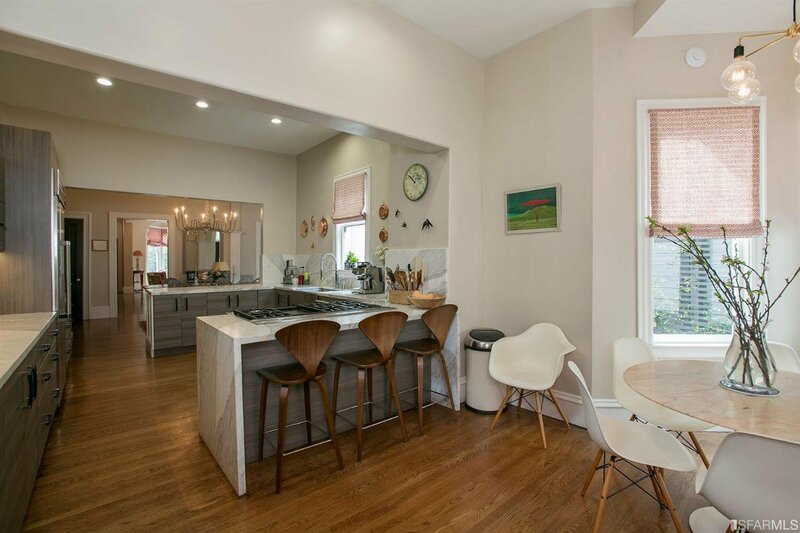 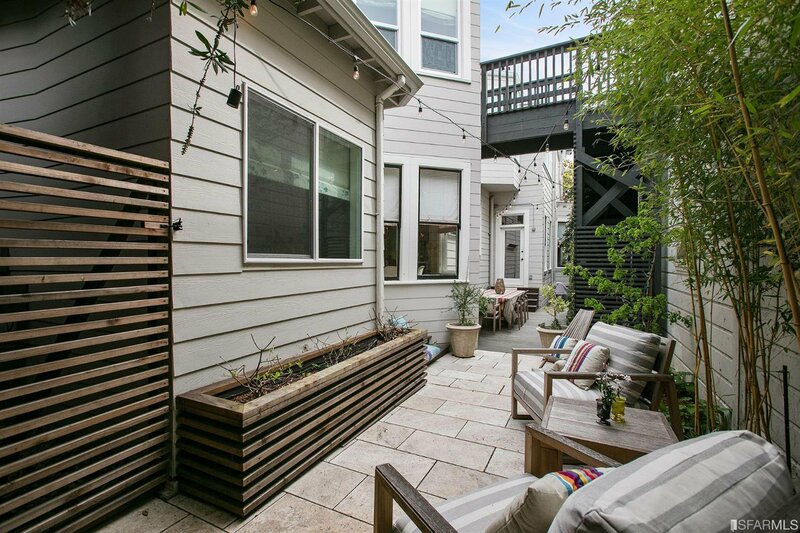 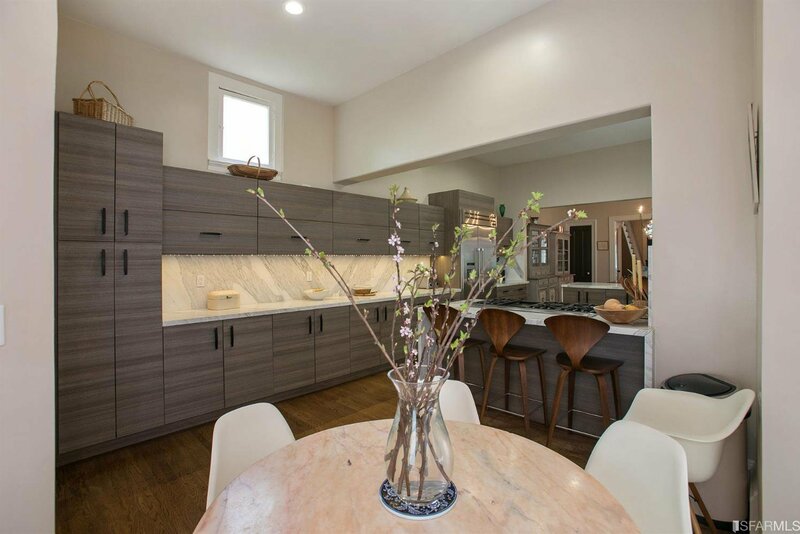 This fabulous family home is centrally located 1 block to Whole Foods & Lafayette Park, 3-5 blocks to Polk & Fillmore dining & shops.